When, months ago, the Franciscans of the Immaculate received orders from Rome severely restricting their celebration of the Traditional Latin Mass, I was gobsmacked. I have been praying recently especially for this Order of the Immaculate and for the Franciscans in general. I am even more disturbed by reports on The Eponymous Flower on the matter here and here. I must confess that it is since this time that I have found it incredibly difficult to 'read Francis through Benedict'. Francis, in the context of Benedict XVI, is something altogether new, but that's just my opinion. At the time when news of this violent encroachment upon the Order took place, I recall vividly now, fears immediately surfaced that under the Papacy of Pope Francis we would see the total over-riding of Summorum Pontificum. Thankfully, this has not come to pass and, please God, may it never come to pass. Yet, this has come to pass for some; those men and women, loyal followers of Our Lord Jesus Christ and lovers of the Immaculate who must be suffering from this most harrowing situation for them in Holy Mother Church, since they have been deprived of the Mass with which the vast majority had fallen in love. The Order of the Franciscans of the Immaculate was thriving and growing under Fr Stefano Manelli and especially because of the Order's devotion to the Extraordinary Form of the Mass. To banish this form of the Mass from the Order of the Immaculate seems to be akin to the totalitarian vision of 'assisted suicide' upon which the Western world is doubtless about to embark. Following last night's procession in honour of the Immaculate Conception of Our Lady, it suddenly dawned on me that there now exists no Franciscan order on the face of the Earth (correct me if I am wrong) in which the Traditional Latin Mass is celebrated without severe restriction. The celebration of this Mass, where it is wanted and desired, is not, at the time of writing, a problem for other Orders such as the Dominicans or for Canonical Orders such as the Norbertines or for the Oratorians around the World or other particular Orders, yet it is for the Franciscans of the Immaculate. How much pain this situation, which Pope Emeritus Benedict is said to have called a 'wound' in the Church, must cause for those mostly young men and women who have been caught into the depths and riches of God to be discovered in the traditional form of the Mass! What sorrow for them! What suffering they must be enduring interiorly and spiritually to have been able to attend this form of the Mass for a good few years (for many it will be the reason they joined) and only then to have had their founder removed and sent away and the Mass of Ages removed and sent away with him! Throughout the painful process of restriction and the changing of personnel imposed forcefully from above, the Franciscans of the Immaculate have remained obedient and gracious in what must for them have felt and still feel like unjust and undeserved persecution. Why is acceptance and love of holy doctrine and holy tradition, as well as the Mass in the Extraordinary Form deemed to be such a threat to the Church of Rome by those of high rank? It is unfathomable. In a time of 'diversity' within the Church lauded by the Successor of St Peter, why are some manifestations of diversity deemed to be scandalous or in some way damaging to the life of the Church? I ask in all seriousness, how it can be in the light of Summorum Pontificum and Universae Ecclesiae, that the Holy Catholic Church can stand by and watch as a fine and thriving religious Order is emptied, or at least depleted, of its driving force - the Mass of Ages? It is as if we are witnessing the violent removal of devotion from the entire worldwide Catholic community in just one Community! How can this happen when it is this particular Mass which was the Divine Engine which drew men and women into devotion and love of God, to leave everything and plunge their lives, hearts, souls and minds into rendering the Most High Lord Jesus Christ reverence, praise and the offering of their very beings? Stand by, watch and pray is seemingly all we can do, for who can question the governmental decisions of the Supreme Pontiff of the Barque of Peter? We can implore in writing, but we must surely bombard Heaven for them with our prayers. The Church, through Peter, has spoken, so who can do anything but submit as the Franciscans of the Immaculate themselves have done? And yet, while a great 'wound' has opened up in the Order of the Franciscans, we are left perplexed. Where will those young men and women who were contemplating the only Franciscan Order with love for Jesus Christ and His Blessed Mother and especially love for Jesus Christ and His most sublime condescension in the Extraordinary Form of the Mass go now? Since the throttling of this thriving Order has taken place in what appears to be a most ungracious and unmerciful manner - a manner that seems to contradict nearly everything for which this Papacy stands, where do young men and women who wish to dedicate their lives to Jesus and Mary Immaculate in holy poverty, chastity and obedience and with great love for traditional devotion have to go? Let's be frank. Traditional Catholicism and the Mass of Ages was THE main attraction to this wonderful Order. Who would join them now that for them the Extraordinary Form has been particularly abrogated, despite the gross illegality of this particular decision? There now exists a spiritual vacuum where before Summorum Pontificum there had been none. By all accounts, this is a vacuum that contradicts the law of the Church. 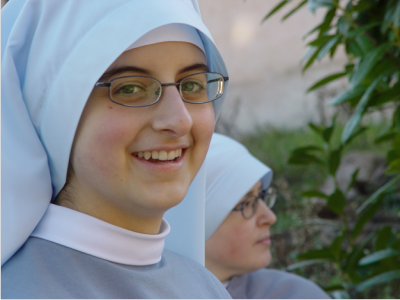 There now exists a need in the Franciscan Orders that was created by the dedication and love for Jesus and Mary of the founders of this particular Order. There now exists a need for a new Franciscan Order which from its outset is dedicated to Mary Immaculate and to the praise, service and worship of the Most Holy Trinity in the Mass in the Extraordinary Form. If ever there was a need for a new St Francis and a new Order modelled on his, exemplified so well by the Franciscans of the Immaculate, that moment is now. Yet one thing is clear, anyone who founds a new Order dedicated to the Latin Mass will never be the Pope, since whether the Supreme Pontiff held the 'Vetus Ordo' in high esteem or not, only one of lower rank within the Church can found a new Order of the Franciscans. Presumably - though it seems wrong to take anything for granted in terms of the life of the Church now - a new Order of the Franciscans, once it had recognition from the Church, under the Church's own law, could not be touched if they, without exception, wished to have preference for the Mass in the Extraordinary Form. Oremus! Be of little doubt. The battle for the Church against Freemasonry is now reaching a crescendo. Let us pray for this Order and their many friars, nuns and tertiaries who now exist in several countries, that Heaven will send reconciliation, peace, concord and justice to those now separated from Mass in the Extraordinary Form - the Mass which so many of us have come to treasure fervently. Pray for the Supreme Pontiff and pray, pray, pray for the Franciscans of the Immaculate. Where are the sanctions against the seriously weird abuses that seem to be still going on? I've been praying like mad and will continue to pray every day, especially on the Feast of the Immaculate Conception, and I daily petition Our Lady to help all innocent and faithful priests unjustly deprived of their ministries. The persecution of the Faithful from the powerful apostates "within" the Church is escalating, mirroring that from without Archangel Michael, defend us. Had read about this persecution earlier, but I'm pretty sure the Masons have jack all to do with it. It burns me up that the powers that be in the Vatican are going after these Francisicans, while clergy with rank disrespect for the sacraments and good order in their personal lives are getting away with murder. "In a time of 'diversity' within the Church lauded by the Successor of St Peter, why are some manifestations of diversity deemed to be scandalous or in some way damaging to the life of the Church?... It is as if we are witnessing the violent removal of devotion from the entire worldwide Catholic community in just one Community!" What does God love? Devotion. What is God like? A Rock. The 'spirit' of VII would have been exclaimed 'anathema' back in antiquity - hang on, not so long ago - Pius X. "you are causing confusion among the Christian people and anxiety to the Church [with your] regrettable shortcomings and doctrinal unorthodoxy." JPII to a group of Jesuit leaders after Jesuit publications challenging the Traditional teachings of the Supreme Magisterium of the Church on such matters as abortion, homosexuality, and the anti-Catholic policies of Congressman Fr. Robert F. Drinan S.J., and casting doubt on the Mass as a sacrifice, the divinity of Jesus, the Immaculate Conception, the existence of hell, and even the purpose of the priesthood. [all the matters of faith old-time Jesuits would given their lives for]. Surely one can only despise devotion, despise the pillar of Tradition (the ligaments, bones and all the rest connecting the Body of Christ to the Head) and despise the 'old Mass', if one wants to deny the God, the Church and the Sacrifice. IMO the 'spirit of VII' wants the head of the Church on a block and those possessed by the 'spirit' want to bring down the axe. People now convert to Catholicism despite the mess they've made; because Christ will have his own. I think the 'spirit of VII' is supposed to be what the Faithful call 'seriously weird abuses'. p.s. how far nu-kirk has come, if JPII of the 'confusion', is concerned about lack of orthodoxy. If you want to, there is nothing to stop anyone celebrating the Novus Ordo in a fully traditional way - ceremonial, music, eastward facing etc. - which makes one wonder what the real issue is for those who say they must have the TLM. I understand, from what i consider \to be reliable sources, that there was a personality clash and factions formed after their last Chapter. The "victors" imposed a a decree that the EF should be the ONLY Mass allowed in their convents. I doubt that Pope Emeritus Benedict would have allowed that if he were still Pope if he were still in charge. Savonarola: the tlm is 'one way' only. the NO and its 'spirit' of innovation means the priest could do the mass suspended from the roof so he could do it not ways - if he wanted - who's to object - only the flock. the hierarchy only seems to object if priests are doing something bequested to them. Laurence: I really do not understand your attitude to the Novus Ordo. It has transferred the celebration of the Feast of the Immaculate Conception to to-day Monday and we do not do Mass on Mondays in our Parish - so that lets all off and we can have a nice lie-in. What's wrong with that? And we had the same last year when the 8th was a Monday! Seriously though "Crypto-Lefebvrian, Anyways Traditional"
really does ring a bell with me as an insult. Our assistant priest at a Church dedicated to Our Lady of Fatima (how long before it gets rededicated?) has made it quite plain that anyone who disagrees with his modernist views must be a Lefebvrist. Methinks the Vatican should concentrate on its housekeeping. There seems to be something amiss. A few quid has gone missing. Again. Viterbo, let's not be too silly about it. I don't like some of the ways the NO is celebrated, but there are not likely to be many priests, if any, who would do it suspended from the roof. That type of exaggeration seems to be common on these blogs. My point was that the NO can be celebrated in a very traditional way, so why do some say they must have the TLM? Is it really the mass they are concerned about or the ideology of restoring old-style exclusive triumphalist Catholicism fixed in stone for all time, for which the TLM has become a symbolic totem? If EF Pastor Emeritus is right this ideology can easily become a divisive oneupmanship - can that be the work of the Holy Spirit? This Decree was contrary to the intent of Summorum Pontificum (and of course, Quo Primum, remember!) and therefore invalid. But negotiation not insurrection is the answer, and I understand this is under way. Any priest may say the Vetus Ordo. No permission is required, from bishop or superior and any Catholic may join in. Additionally, of course any group of Catholics any request and must be provided with the Vetus Ordo, by implication at a suitable time. I’m not sure just how far the Holy Father has backed this near ban. If he has, then we have a situation of two Popes issuing contradictory rulings, or rather a Pope challenging the content of an Apostolic Letter. This would require another Apostolic Letter of equal gravity and intent and even then would solve nothing. I am no expert but in the event of Apostolic disagreement, the one is free to act as one feels right. Certainly, the decree under discussion carries no binding weight. Hopefully this matter will be sorted out within the Order. But the solution must allow for the Friars to say the Vetus Ordo as they wish. Ultimately, they can form another order or join an order more suitable to their legitimate preferences. If you want to, there's nothing to stop anyone celebrating Mass according to the UA, as clearly stated in SP. The decree against FFI was unjust and unlawful. You must be blessed never to have attended a silly Mass. There have been masses with clowns, and masses with hindu dancers, masses with rock bands, masses with tango in front of the altar (presided over by the current Pope in his Cardinal days), there have been masses where pets were given Holy Communion, Masses where priest has superman on his vestments, heavy metal masses, giant puppet masses - and that's even before the simply run of the mill abuses like almost never having the penitential rite, or street clothes in the sanctuary, masses where a life vest, a rope, a rescue helmet, a plastic tarp and some bread were put on the altar; the list of sillynesses at an NO mass is almost endless. The NO invites and inevitably performs abuse unless the Priest is TLM minded. Therefore, why not simply return to the TLM. At NO mass a priest could go right on ahead and do a versus populum - ad orientum tango with his shadow and who's to stop him? And that's before the anti-catholic homilies. One priest brought in a rabbi to give the parishoners a kabbalah lesson instead of a homily. p.s. humour is one way of getting through all this. I don't know about being blessed, but I have never - over many years and in several different countries - experienced mass of the kinds listed by Viterbo. (He must spend most of his time searching out such horrors to be appalled by. Why?) I have, however, attended celebrations of the TLM which seemed just as much a travesty - bored, indifferent, restless congregations, rushed incompetent speaking of Latin (even the old howler of the priest reading out rubrics as well as text because he does not understand what the words mean), screechy choirs trying to sing music beyond their ability, hoity superior sermons, a palpable absence of devotional prayerfulness, just going through the motions of the ritual. No, it certainly is not one way only. The figures don't lie, the new mass is destroying the faith, it only a matter of time before the 'new world' missions of the NO forget the purpose of the mass. p.s. the figures show that most Catholics think the NO is boring or a waste of time - only around 30% of professed Catholics bother to go to Mass every Sunday. Do we really believe this trend won't follow through in the increasingly culture of death inundated non-English speaking world? In South America there has been a mass exodus to protestantism. The Church needs to be pouring the Tradition, that is a Way that isn't protesting the Way (vouchsafed in the TLM) back into the Mass. I don't think this is accurate, or at least it is an over-simplification. SP does not give priests the totally unrestricted right to use the EF in any circumstances. It gives priests the right to use the EF for a 'private mass' (which anyone can spontaneously attend), or a 'public mass' where a stable group request it. There are also some restrictions stated e.g. only one scheduled mass on sundays (presumably so over-eager priests cannot change the whole weekend mass schedule to the EF) and 'private EF masses' not being permitted during the sacred Tridiuum. It does not give some members of religious communities / orders the right to impose the EF on other members as a rule - which would effectively need a change in that religious order's constitution (requiring papal approval). In the case of religious orders, the superior has a rule in regulating or overseeing the EF's use. The issue with the Franciscans here was that it had been unlawfully decreed that only the EF could be used, which is against the detail of SP and the religious orders constitution (since it was never established as a solely EF religious congregation). Clearly, priests have the right to use the OF (which is normative) if they wish and cannot be prevented from doing so. Finally, the reigning Supreme Pontiff does have the legal right and authority to arbitrate in such matters and can deviate from SP in particular cases if he feels it is necessary. No Canon lawyer will tell you otherwise.